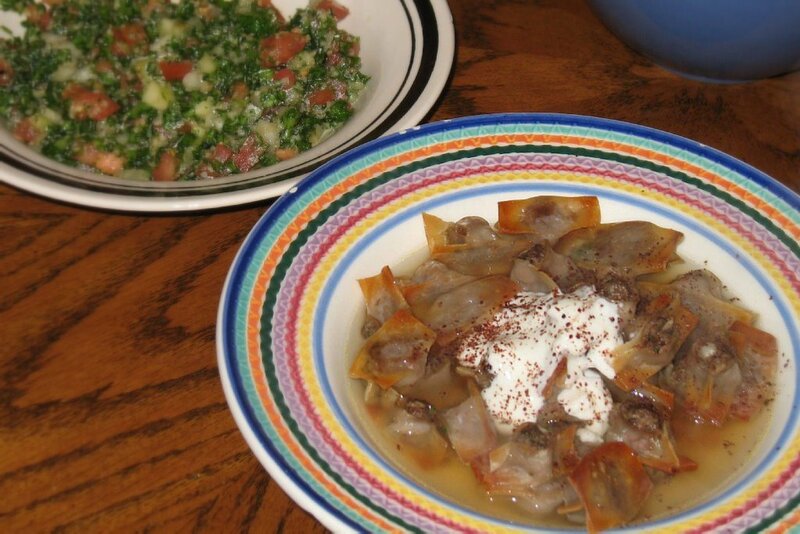 This is one of my all-time favorite Armenian dishes. Manti are crispy little canoe-shaped dumplings stuffed with ground beef, onion, and allspice. After baking them, you put them in a bowl and add chicken broth to make a delicious soup. You then top it with a garlic-yogurt mixture and some sumac. It’s awesome. Tabbouleh is a parsley and bulgur salad — in the States you’ll often find it made with way too much bulgur. Traditionally, the parsley is the focus. Tomatoes, onions, cucumbers, lemon juice, and olive oil round it all out. Both recipes from The Complete Armenian Cookbook.